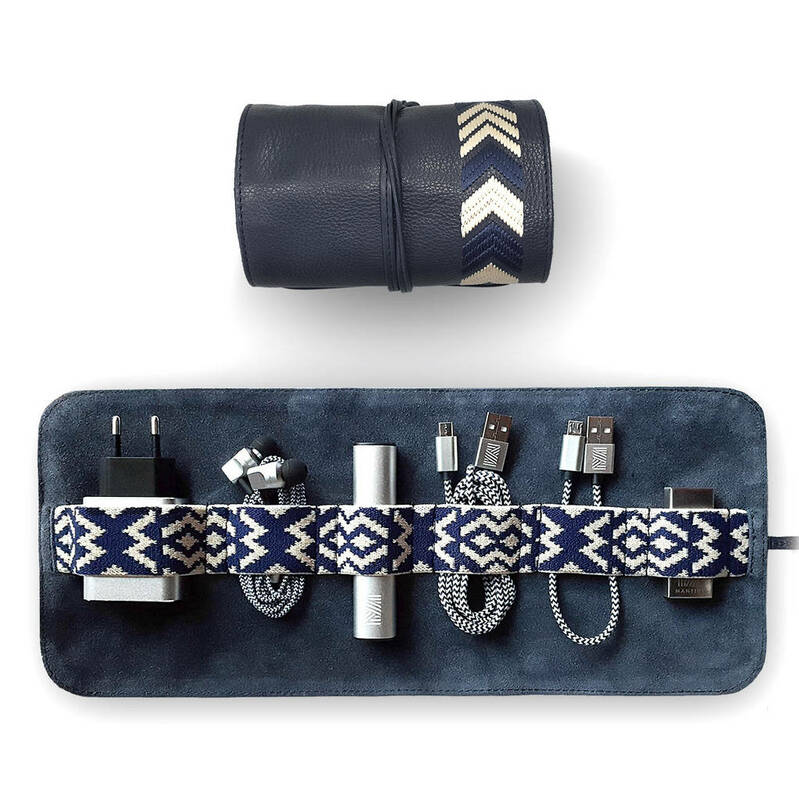 Personalised Leather Tech Roll organiser and optional essential phone accessories. Made of soft genuine cowhide leather and suede. Decorated with chevron embroidery and elasticated inner band with an indigenous South American pattern. 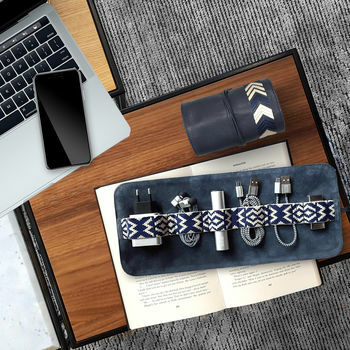 Add high-quality 6-piece phone accessories kit which includes: USB phone charging adaptor, earphones, power bank (portable battery), long cable for iPhone or Android phone, short cable (comes with power bank), USB flash drive. 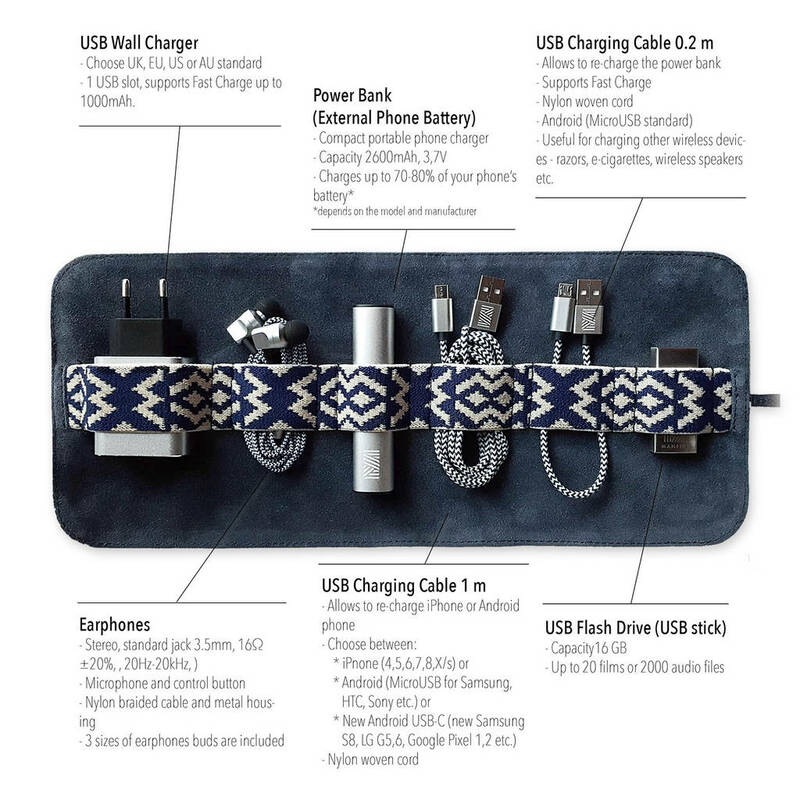 - 1m fabric braided USB charging cable (iPhone or Android - drop us a message if you're not sure), - Portable phone battery (power bank, 2600mAh, 3.7V), - 0.2m fabric braided USB cable (Android), - Compact USB Wall Charger, - Cool stainless steel USB Flash Drive (USB dongle), - Matching high-quality earphones. Please note: this kit is compatible with almost all popular cell phone brands: iPhone 5, 6s, 6, 6s, 7, 7s, 8, 10(XS, XR, XMax) Samsung S5, 6, 7, 8, 9 and many others. Designed in England. 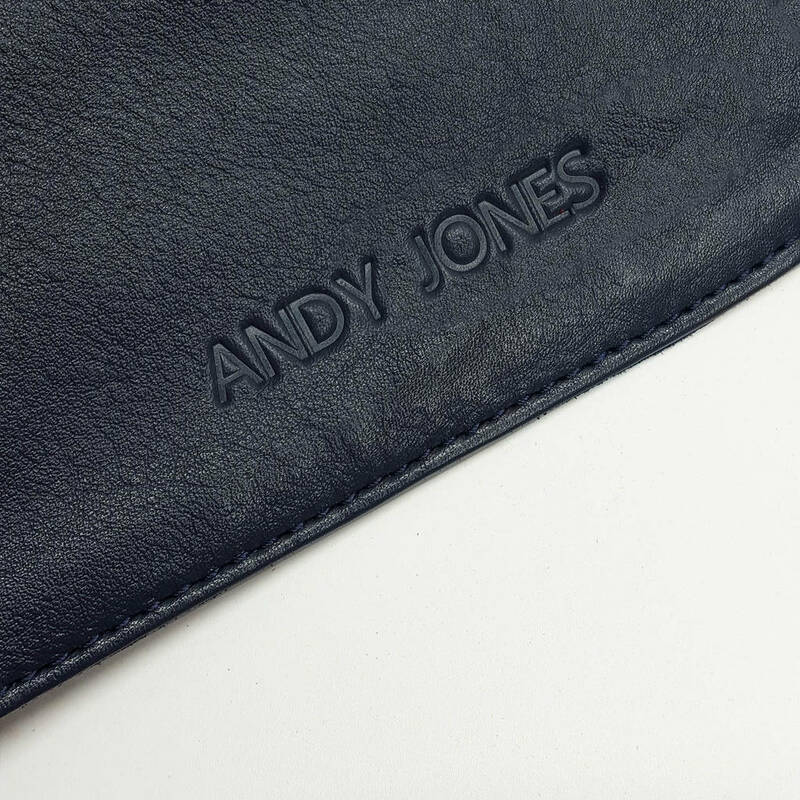 The inner roll is made up of soft suede which bonds perfectly with genuine soft coated nappa cowhide leather. The fabric braided cables are covered with strong nylon thread. 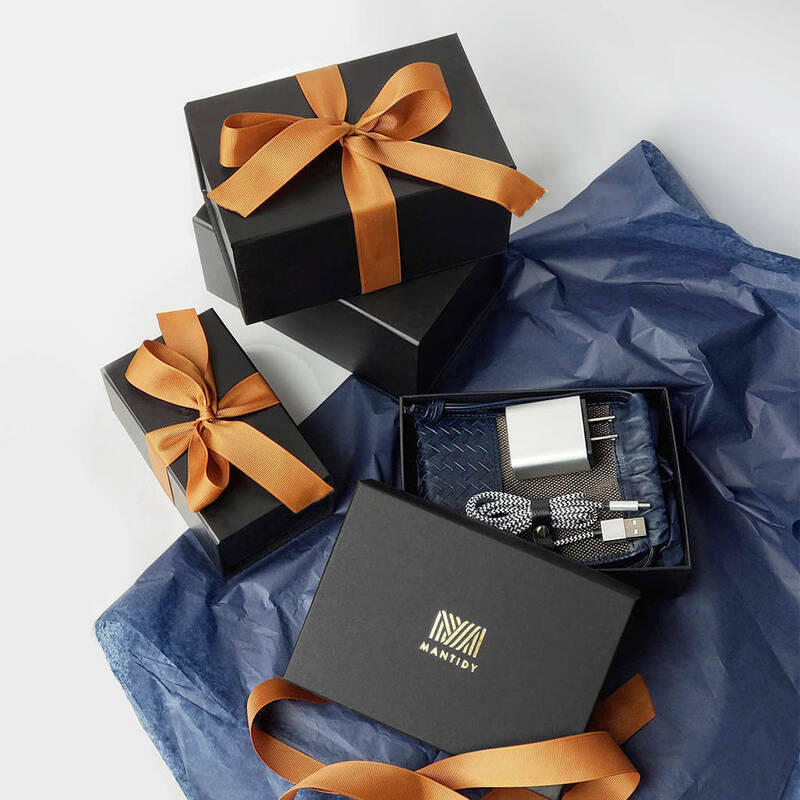 The cable connectors and power bank are made of high-quality aluminium with matte silver finish. Dimensions: 35x15cm; Rolled up - 15x8cm width (fully loaded). This product is dispatched to you by Mantidy.